Ringworm is an inflammatory disease of a skin, which is usually provoked by funguses of 2 types. The 1st one is microsporia; the 2nd one is trichophytosis. This is a quite widespread disease which affects both animals and people with weak immune system. It should be noted, such kind of disease doesn’t pose a threat to a health man; however, this problem results in serious consequences, for example, blindness and even pet death. This fungus is being transmitted in case of contact with a host; unfortunately, it leads to ringworm of scalp development. As far as the host is highly stable to the environment, it is possible to be infected through the other objects an affected animal had contact with, such as: cloth, shoes and etcetera. There is no need to leave your pet at home in order to prevent the disease; anyway, there is a high possibility to be infected. The most vulnerable category of animals is a group of sick cats with the weak immune system, affected by worms. It is very important to know a form of this disease. Usually, it starts with a small rash. As far as it is difficult to observe the rash under thick fur, initial symptoms may be unnoticed at the beginning of the disease. In case of an acute disease, your pet may be sluggish, reject a food or sleep a lot with no answer when you call it. 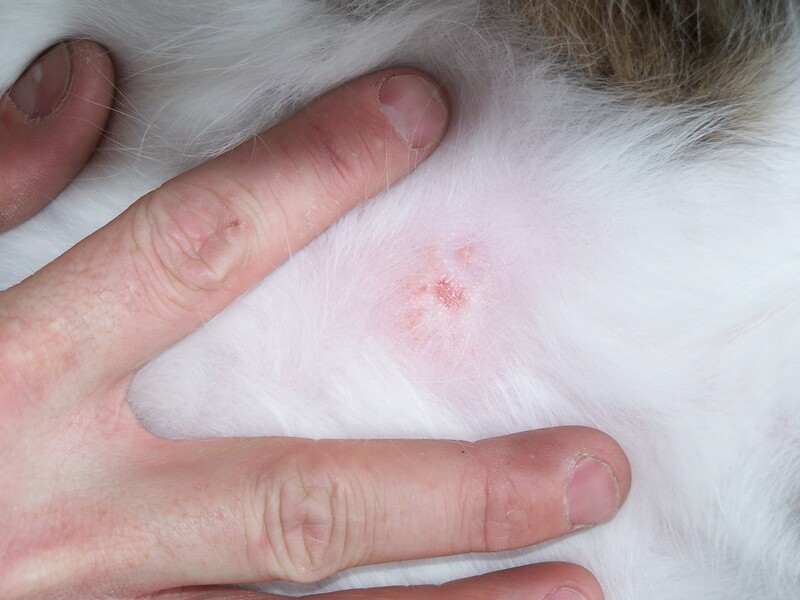 It is very important to know how to diagnose ringworm at the initial stage and start treatment. These actions favor the recovery in a short space of time. If you have an infected pet at home, prepare a special place to let it spend time there as this infection may be transmitted especially to the little kids. It is important to bathe your pet separately; do not let it to go to kitchen or some other rooms to contact different objects and people till the complete recovery of your pet. It is better to start the treatment as soon as possible. In case you have noticed some symptoms of this problem, apply to a vet urgently. The examination of the skin is being carried by means of infrared lamp. Unfortunately, such kind of investigation doesn’t let a vet to diagnose for sure. Thus, vets practice lab investigation of affected skin elements. Incubation period in cats lasts between 8-30 days. Then an active stage comes. In order to treat this disease, vets use different antifungal ointments: Miconazole, Thiabendazole. Rub them into the affected zones according the vet’s prescription. Clip off the hair carefully to simplify this process. Apart from antifungal agent, a vet may prescribe baths with sour lime to have antimycotic effect. Use other variants, such as shampoos with myconazole (sour baths color pet hair yellow and have bad smell). It is forbidden to bathe cats, using a simple soap and shampoo. Usually, the treatment lasts for a month. In case antifungal agents are not effective, then vet makes an injection. It is important to watch the general conditions of the animal, strengthen the immune system, restrict to a diet and do not worry it. In general, the ringworm is a group of rounded spots without hair. Then these spots are getting bigger and the fungus is being extended to some other zone, aggravating the condition. A skin which is close to ringworm looks like dandruff. These elements are very dangerous as far as they contain a pathogenic agent. The extension of disease provokes patches. One should pay a thorough attention to the ringworm in and around the head and face; it may be extended to mucous membrane of some important organs, such as eyes. Sometimes it results in blindness. It is necessary to clean rooms from fungus spores in order to prevent repeated contagion. It is easy to spread spores, thus, clean and disinfect carpets, furniture, curtains thoroughly, including objects and corners difficult to access. Clean and change filters of vacuum cleaners you use. Varnish and paint wood surface or rusty metal once again. Tidy up the room, using washers. Pet’s habitat has to be especially clean. It is easier to prevent a disease, than to treat it for a long period. If you decided to get yourself a new animal, examine it. In case of any doubts, consult a vet firstly. Do not let it to contact the other animals at the street as there is a high risk to be affected once again. Just be careful while walking your pet. Nowadays medicine helps to avoid serious consequences of the disease and lets us to cure our animals completely. We advise you to watch the symptoms and start the treatment as soon as possible.